World’s largest taxi aggregator Uber HQ at San Francisco has joined hands with India’s largest network company Reliance Jio to allow users pay for rides via JioMoney. India’s most spoken and widely used telecom service provider’s wallet service JioMoney can be used to book rides on Uber. 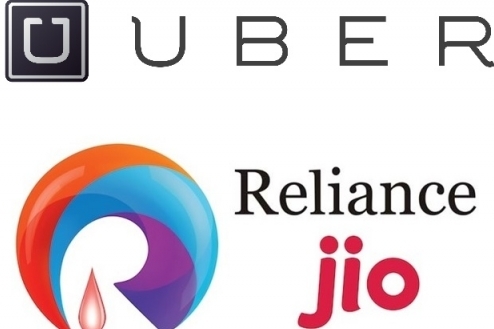 The companies have stated that the partnership will bring collaborated efforts to enhance user’s digital experience of Jio and Uber through various complementary services. The joint statement also said that Uber would continue to provide the existing payment options such as cash payment, card payment, and Paytm wallet. The Chief Business Officer of Uber for India and Emerging Markets, Madhu Kannan, said that they are indeed excited about their partnership with Reliance Jio. He also added that it would unlock interactions across both the largest user bases in the country. According to the reports, Mr. Kannan said that making payments via Digital wallets has become an integral part of day-to-day life. Adding JioMoney into payment options for Uber will allow riders to have a familiar and reliable payment experience. He also said that the “strategic partnership” will enable quick scale-up of digital solutions for Indian users. As a part of promotional campaign for the partnership, JioMoney and Uber will offer exclusive offers to users using JioMoney for paying their Uber Rides. Anirban S Mukherjee, JioMoney’s Business Head expressed that Jio aims at bringing the benefits of digitization for every Indian through a complete system. He said that JioMoney is an important part of the Jio Company and is a fast growing preference in terms of a digital transaction. It is easy to use and has an interactive interface. The integration of JioMoney in Uber will enable faster migration of more users for using digital platforms for transactions.